With a soft creamy top, and crunchy base, cheesecakes make for the perfect pudding. From a classic New York style cheesecake, to a rich chocolate brownie option, here are 15 outrageous cheesecake recipes you have to try. You won't be able to resist. 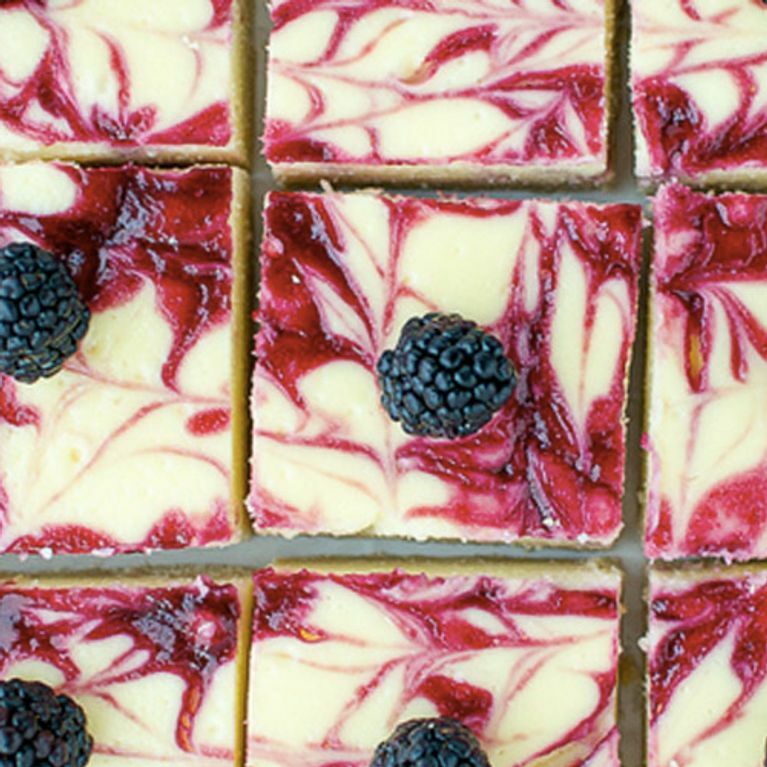 Seriously, who doesn't love a good cheesecake? Let’s firstly applaud the genius behind this recipe. This rich cheesecake sits on a brownie bottom and is topped with hot chocolate fudge, toasted almonds and a cherry on top. Possibly the best cheesecake ever. Get your apron on and get making it. You can never fail with a classic cheesecake, and this is how it’s done, New York style. An Oreo cheesecake, I mean really do we need to say much more. It’s a cheesecake topped with Oreo’s and fudge. It’s perfection. Our two favourite things in one dessert. Short bread and cheese cake. A buttery crust, topped with cheesecake layer and sweet blackberry sauce swirled into it. We can’t think of anything better. Calling all caramel lovers. This salted caramel cheesecake topped with a sticky caramel sauce, chocolate ganache and a sprinkle of sea salt is one for you. It’s like heaven in your mouth. A delicious smooth cheesecake, with a white chocolate layer on top and bottom. 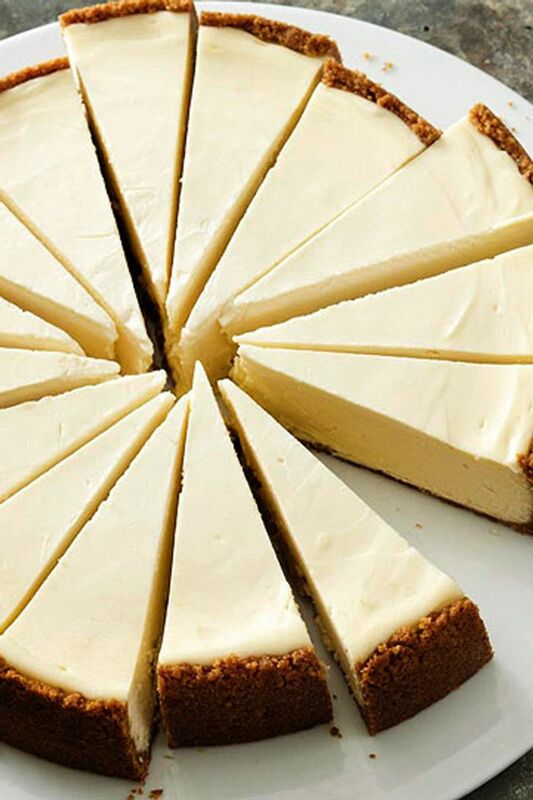 The classic combination of cheesecake and white chocolate is always a treat. Gluten-free, diary-free and egg-free, so of course it’s guilt free. This vegan cheesecake tastes as good as it looks. A sweet biscuit, layered with a delicious cheesecake, topped with fresh strawberries. The perfect dessert for al fresco dinning. Here’s how to make it . Thick creamy with added amaretto flavor, this cheesecake is one for the adults, and the perfect way to finish off a dinner party. You will be baking up a storm with this recipe. This cake with quadruple chocolate is sure to make everyone happy. Delicious, and easy to make, this Nutella cheesecake makes for a brilliant birthday cake, just top with cherries and sprinkles and you are done. 12. No Bake Caramelised White Chocolate Cheesecake. We are all about fuss free baking, and this cheesecake allows just that, and still looks pretty fancy. This is one for the work bake off. Mary Berry eat your heart out. A cheesecake classic with added pieces of chocolate mint. The sophisticated way to enjoy a cheesecake. Sweet but not too sweet. We love this pear and almond cheesecake. It’s made with a cream cheese mixture, topped with an almond-flour crust and garnished with fresh pears. Chocolate fudge layered on a smooth Irish cream cheesecake. The perfect combination of booze and dessert. Chocolate Dessert Recipes - A Chocoholics Guide To Chocolate Recipes!